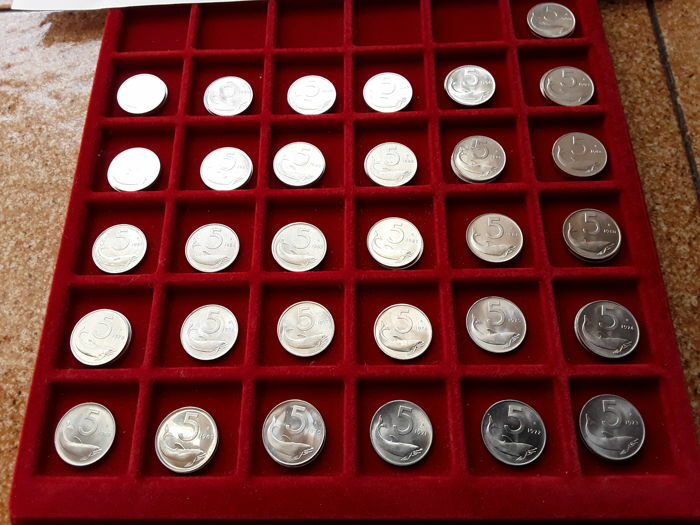 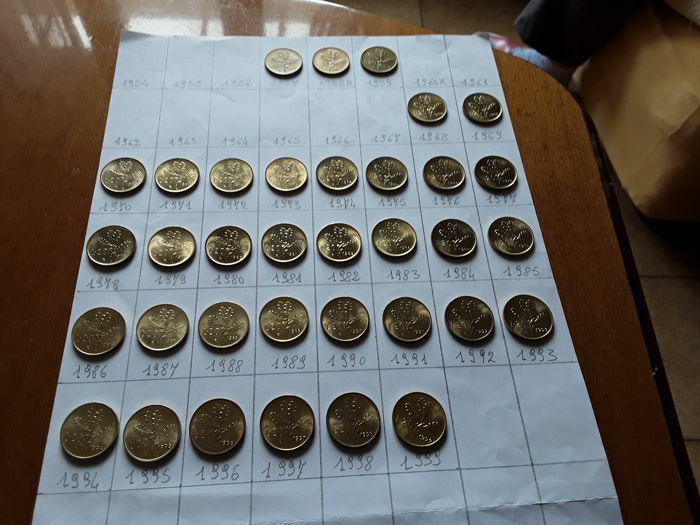 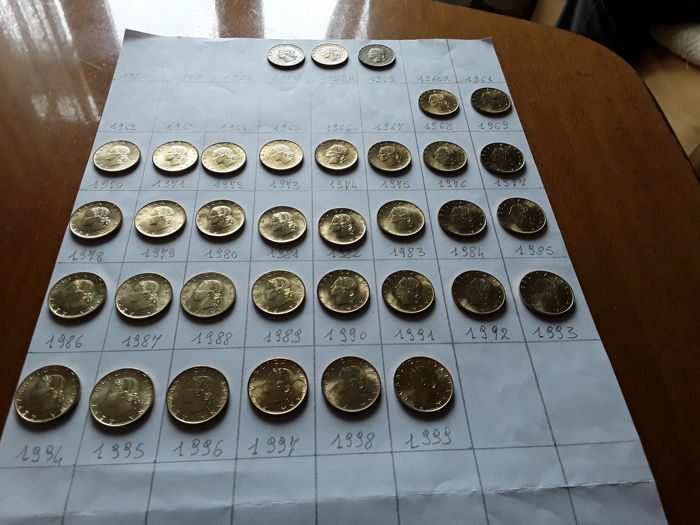 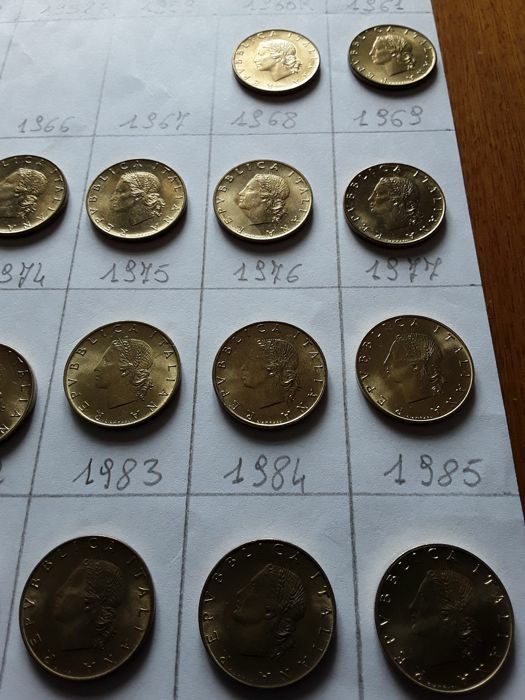 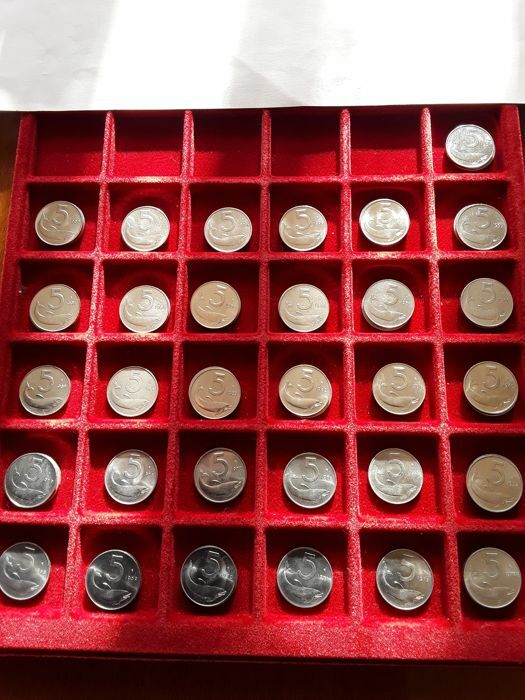 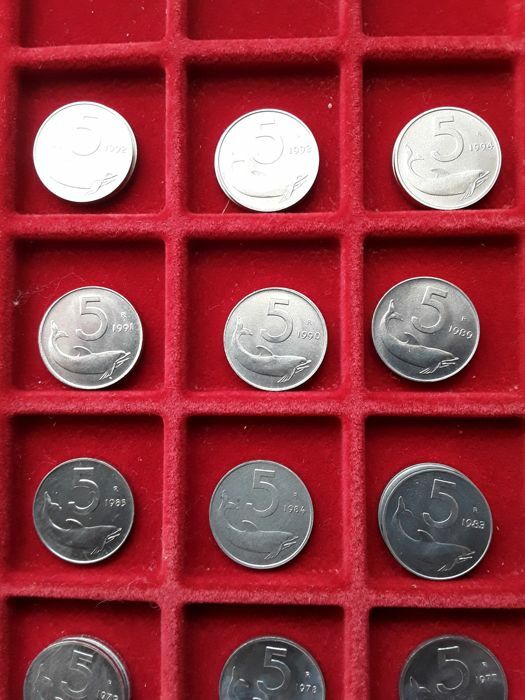 Lot of 66 coins including 35 x 20 Lire oak branch. 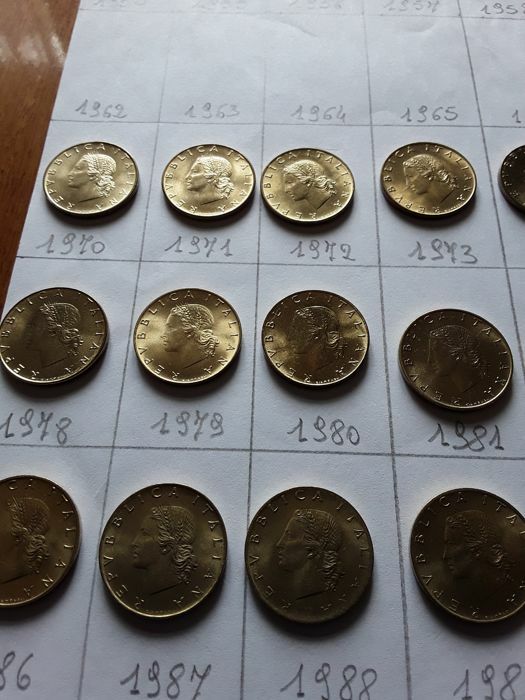 The lot is made up of: 1957, 1958, 1959 XF + from 1968 rare to 1999 UNC from rolls and series from the mint. 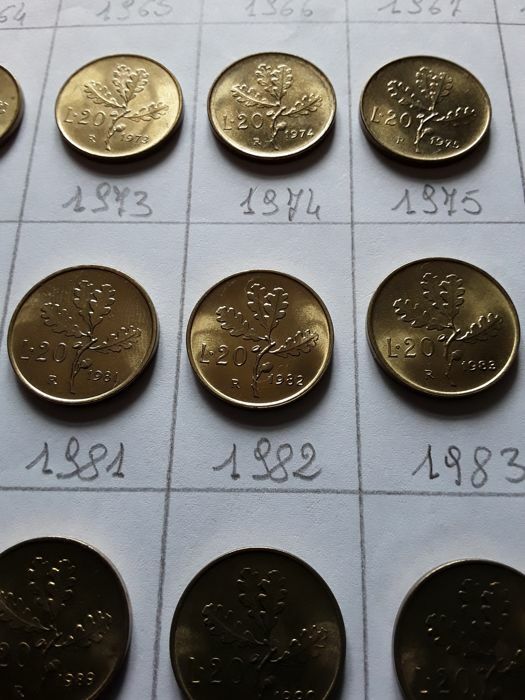 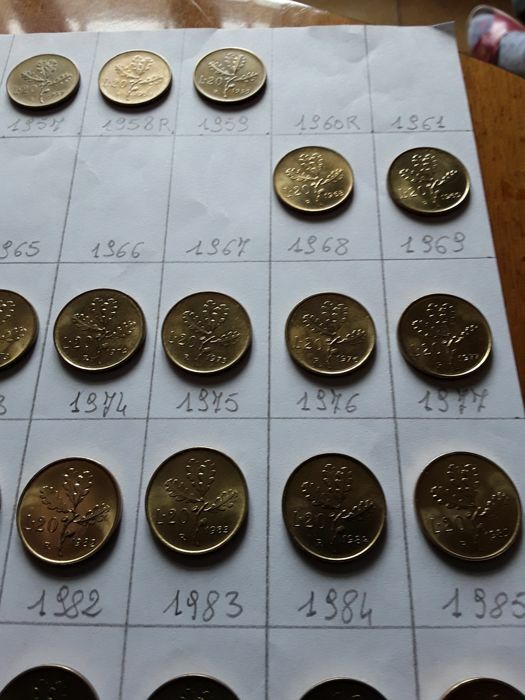 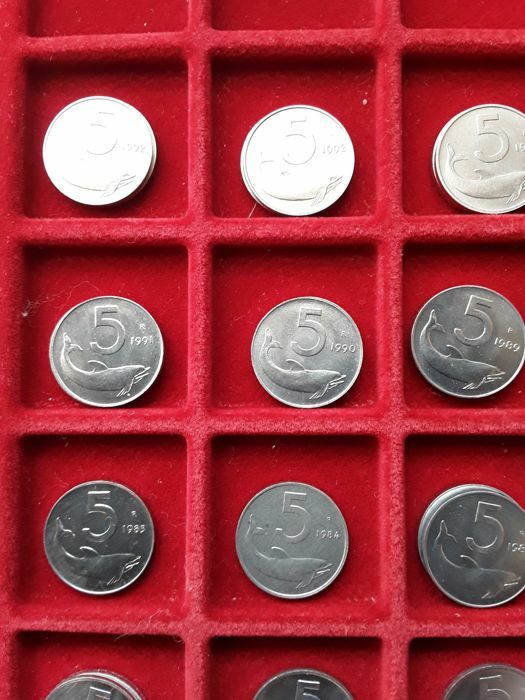 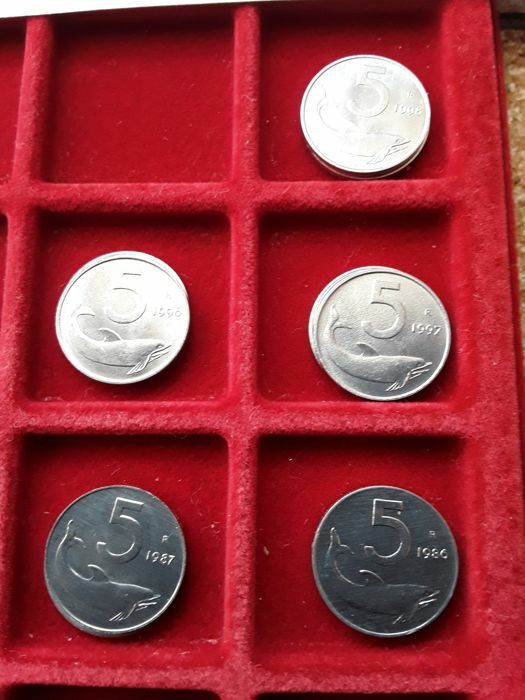 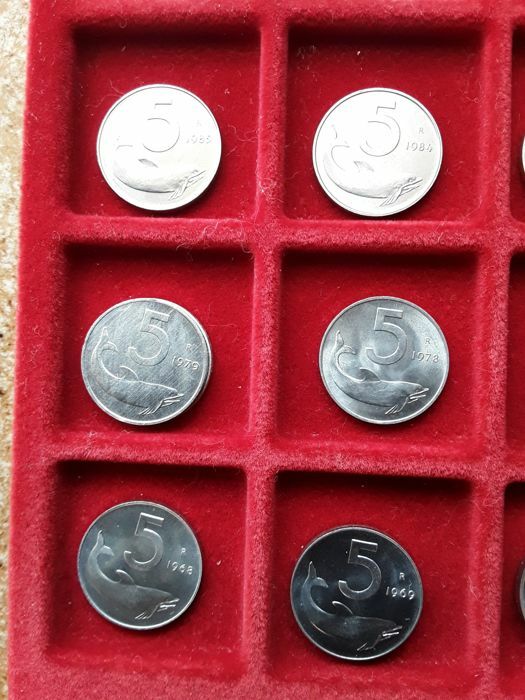 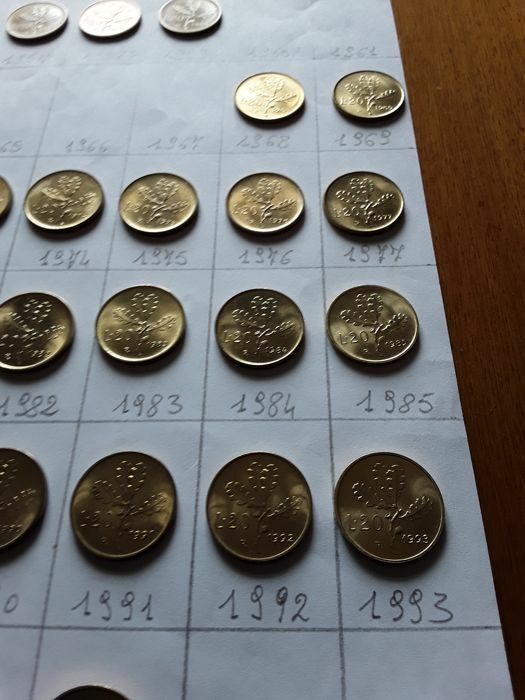 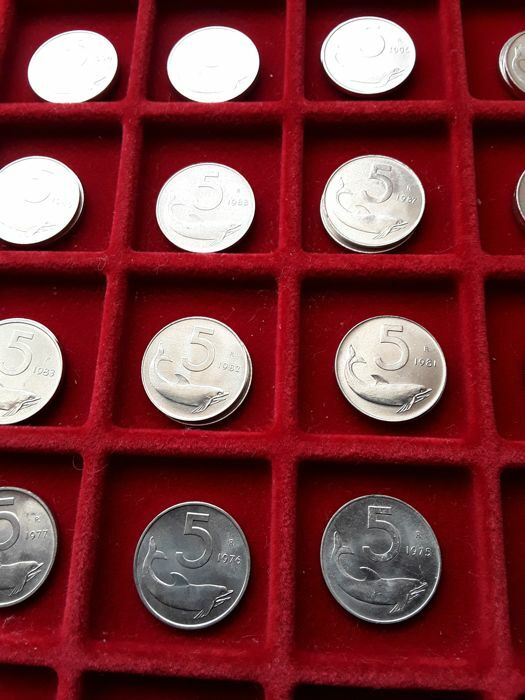 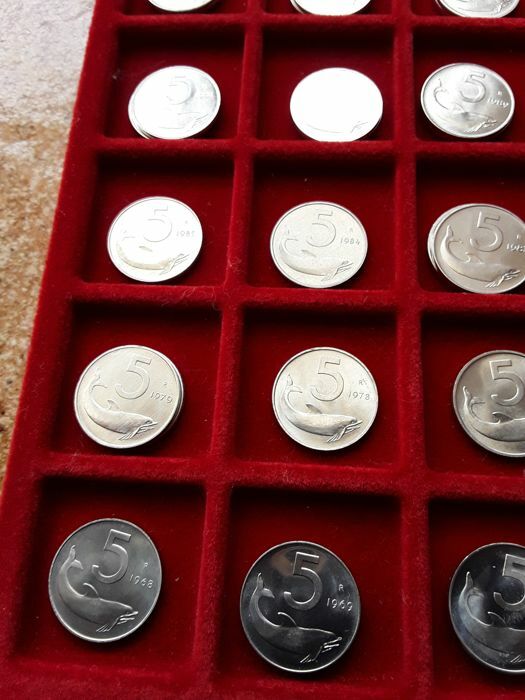 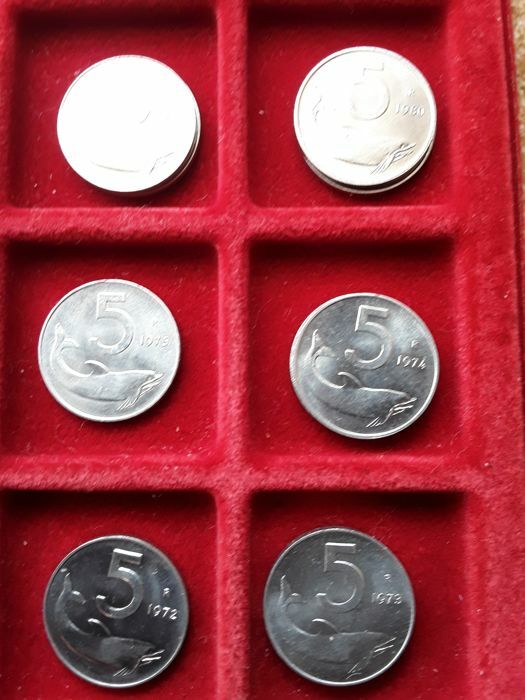 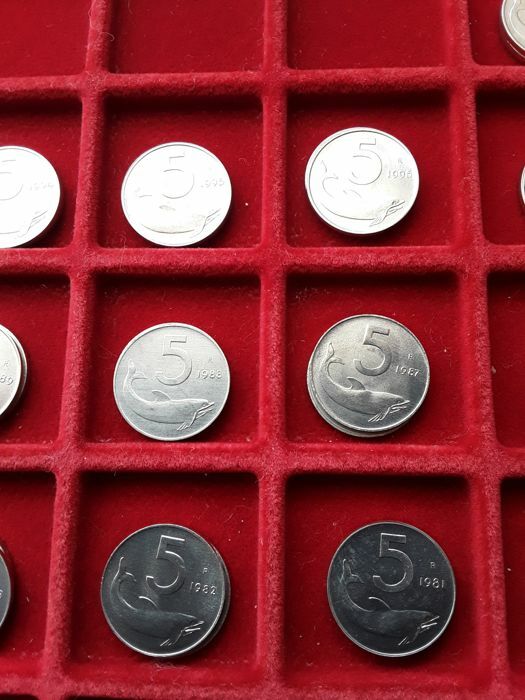 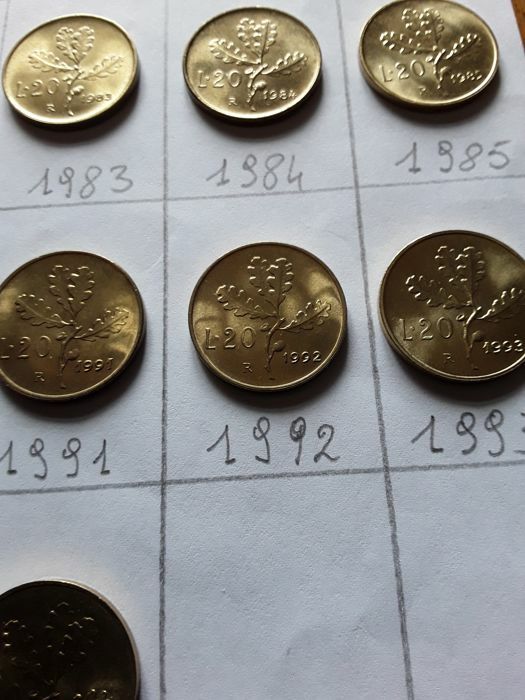 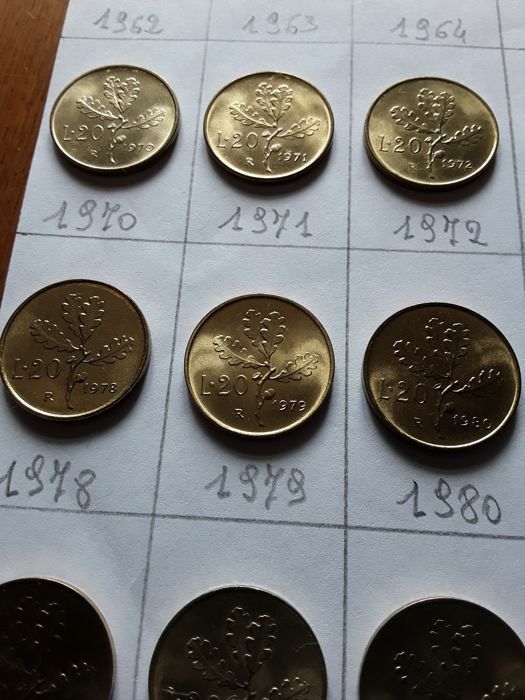 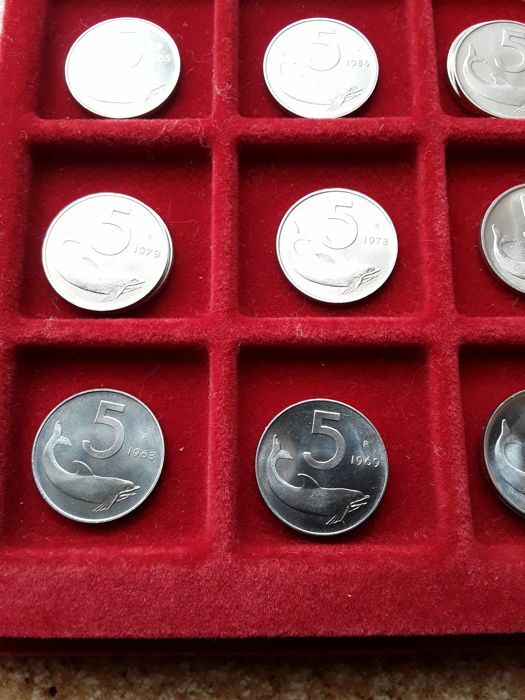 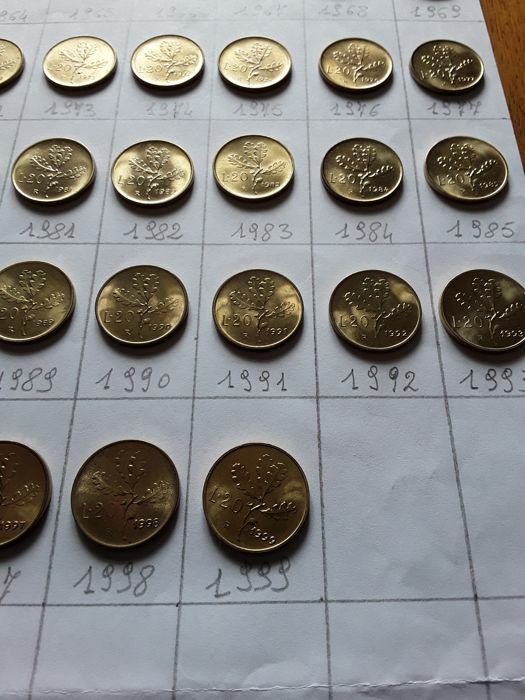 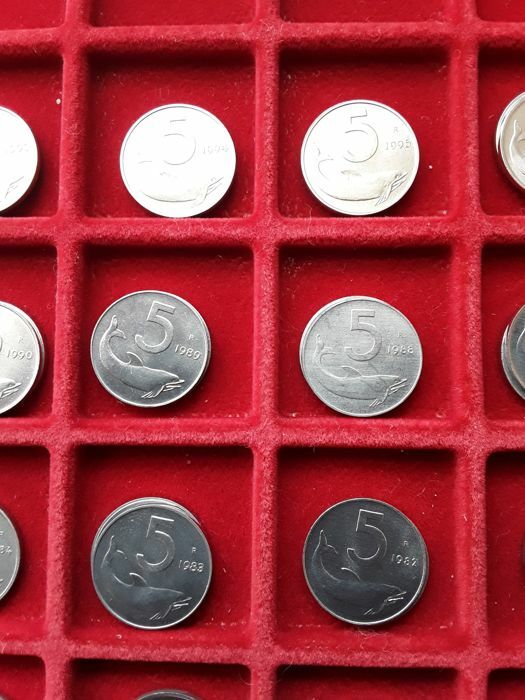 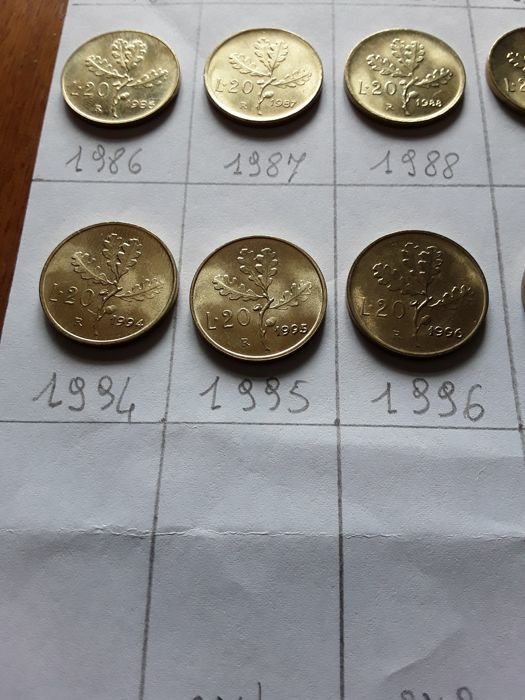 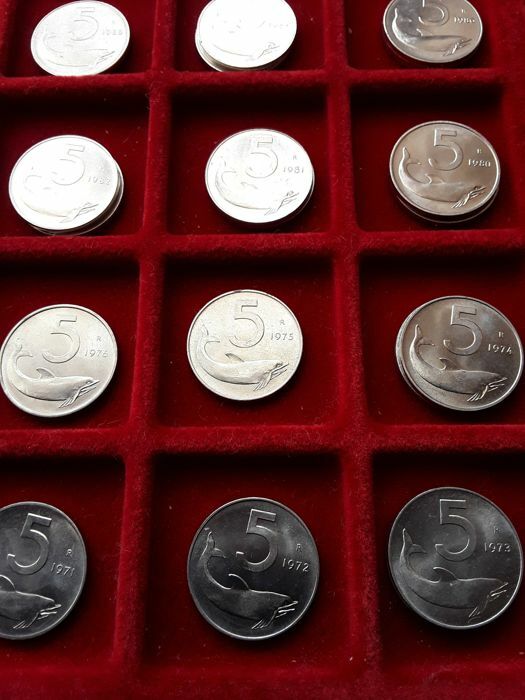 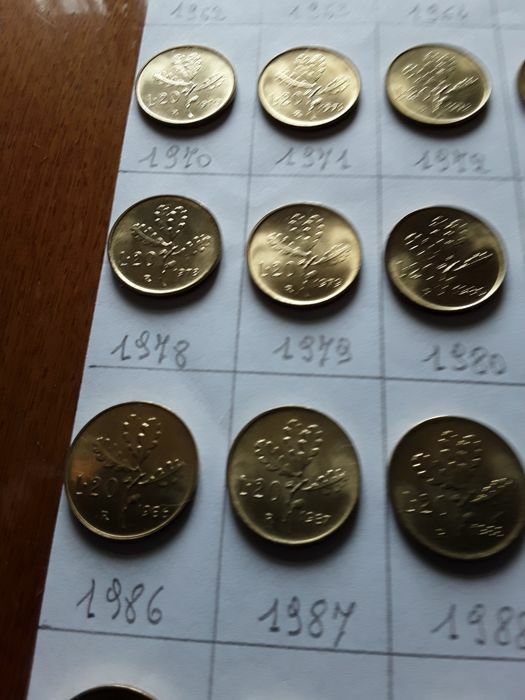 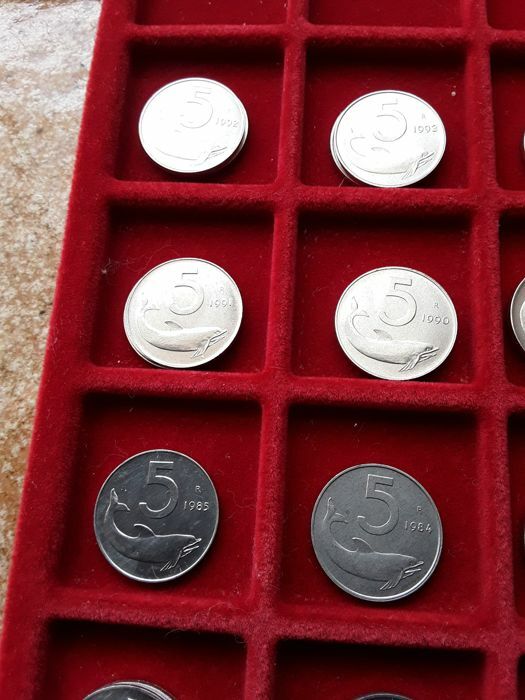 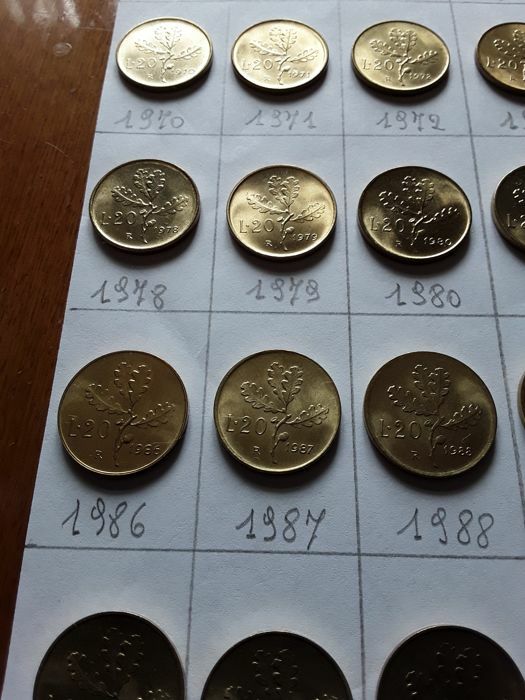 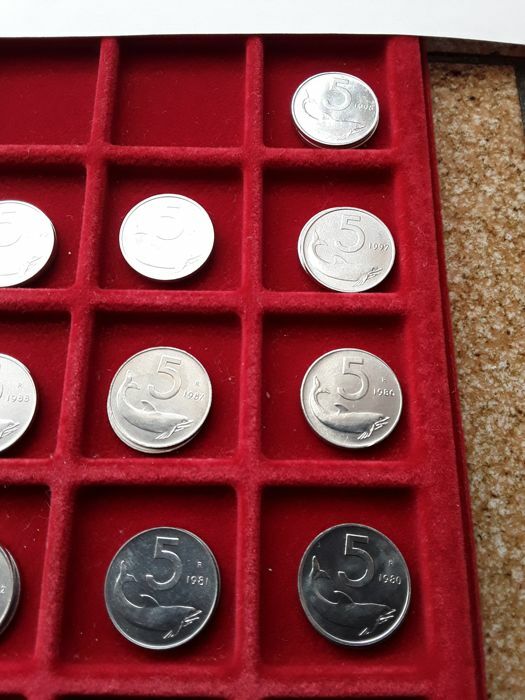 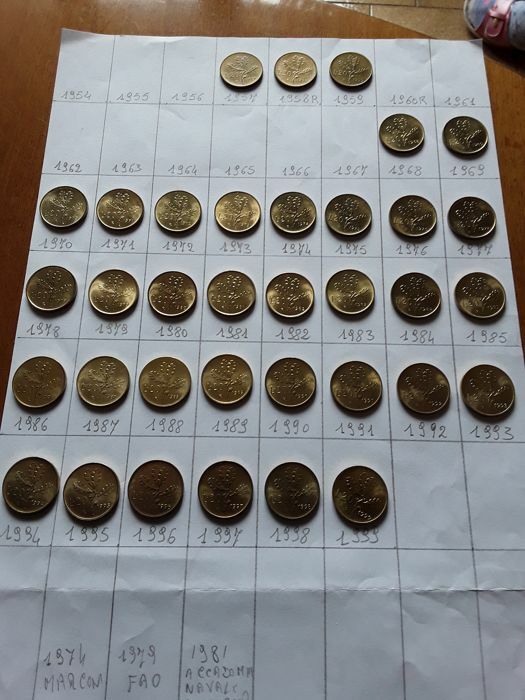 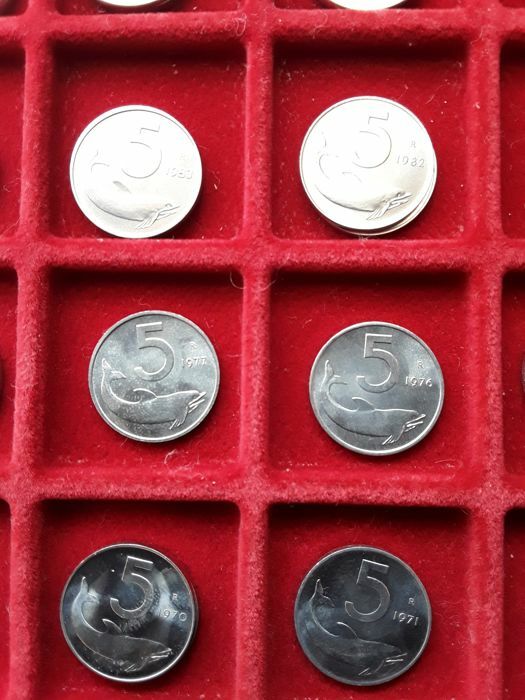 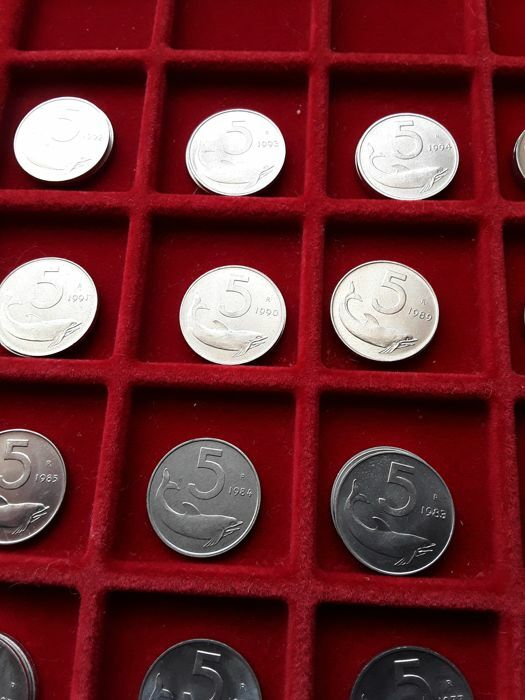 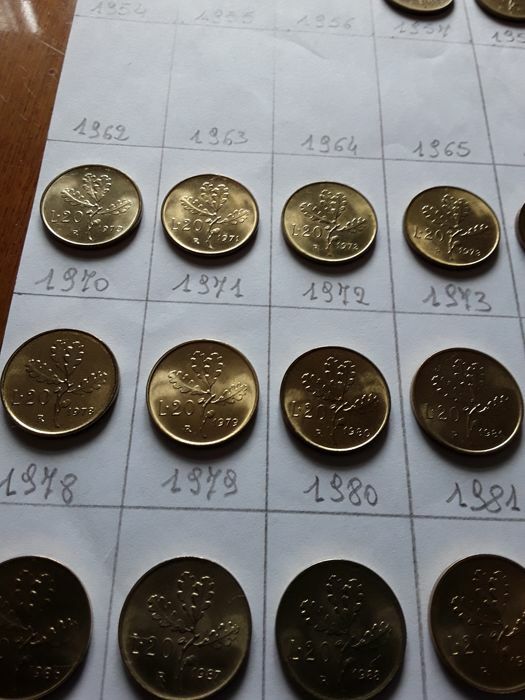 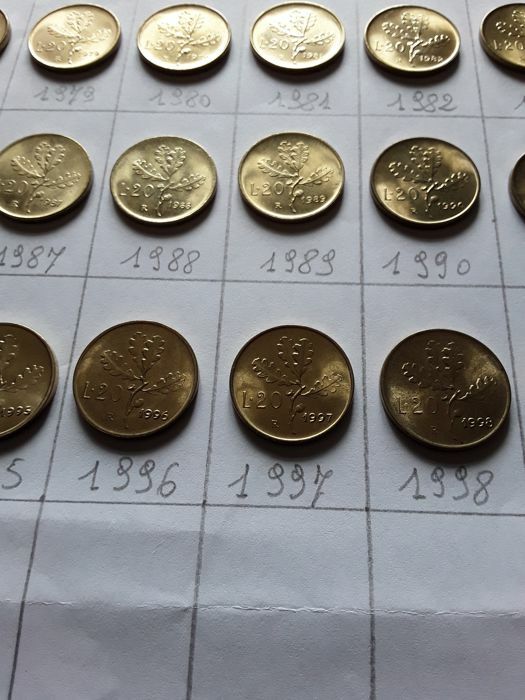 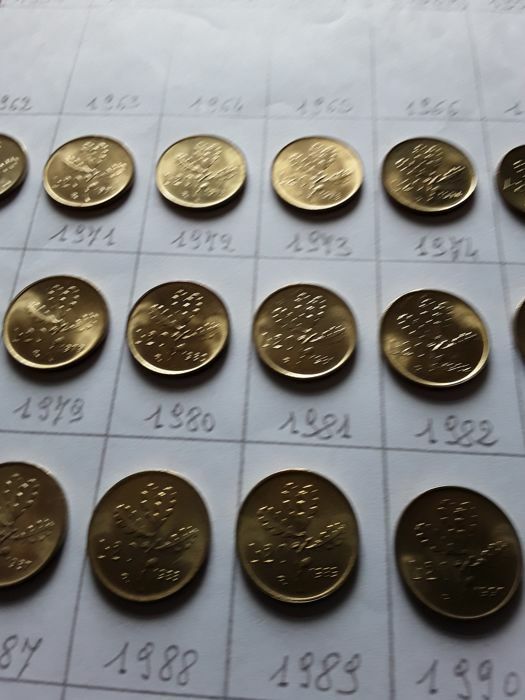 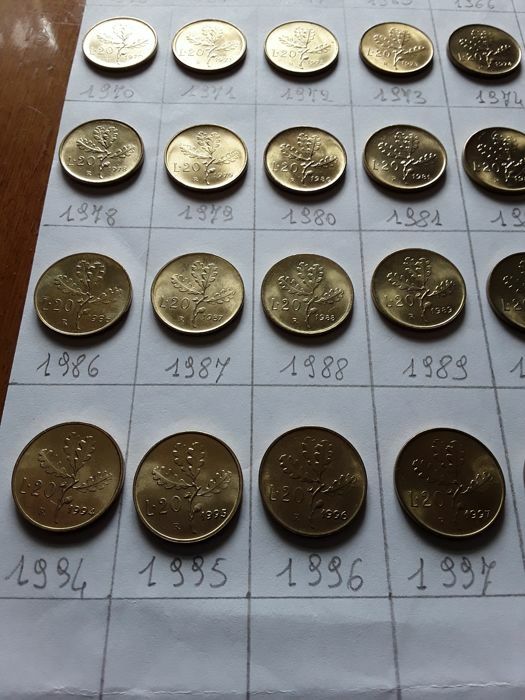 Only the year 1968 has a catalogue value of over €40 + 31 x 5 Lire dolphin coins from 1968 to 1998, all UNC. 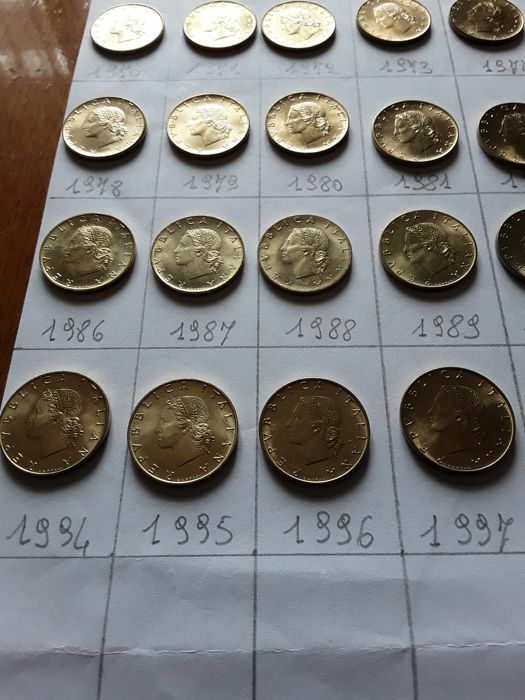 Everything is as shown in the photos. 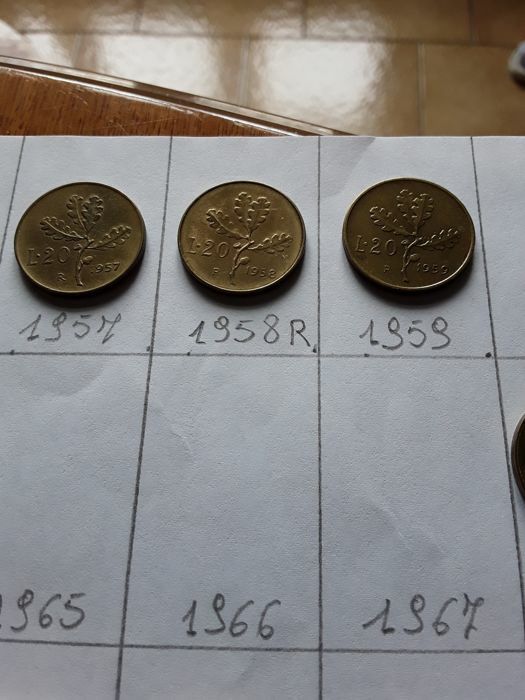 Monete bellissime e imballate a regola d'arte...tempi veloci e venditore assolutamente serio! 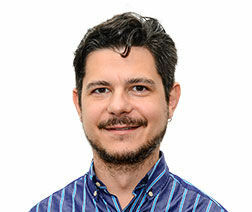 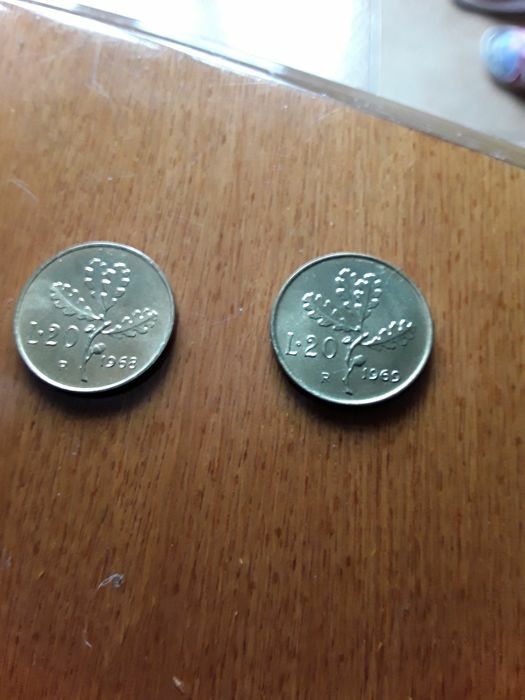 monete favolose! 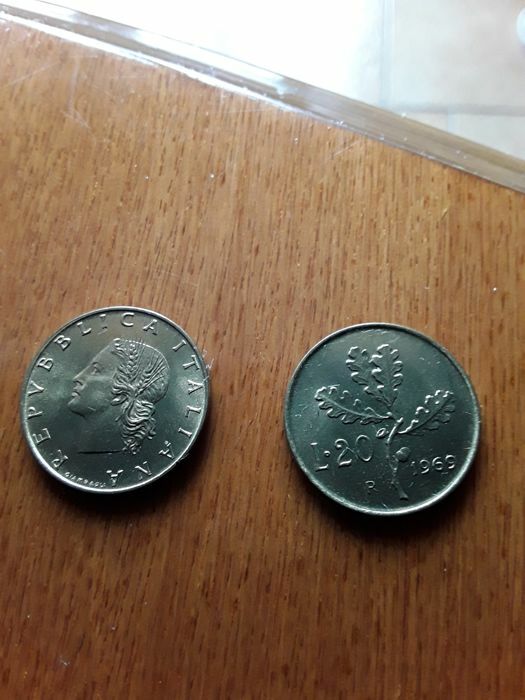 sono molto soddisfatto, grazie al venditore. 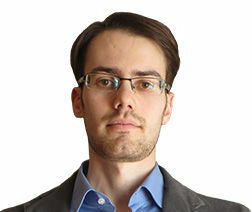 Bellissima banconota , come da descrizione . 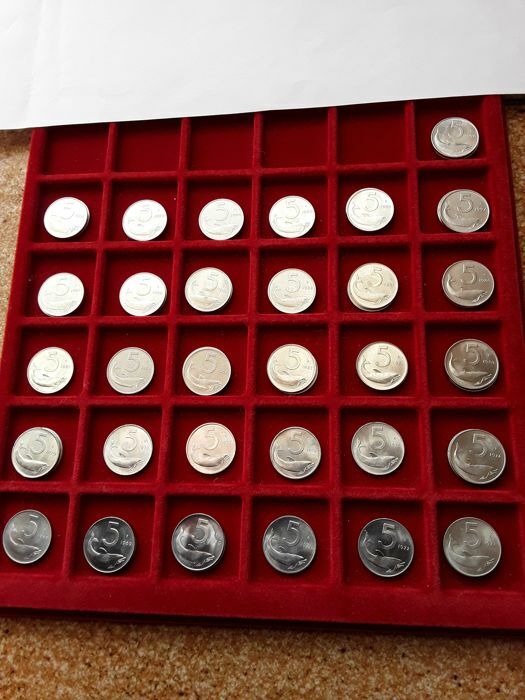 Grazie !!! 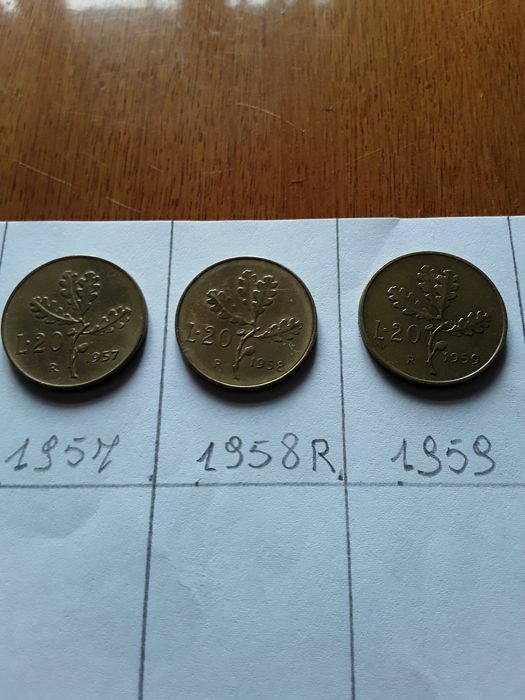 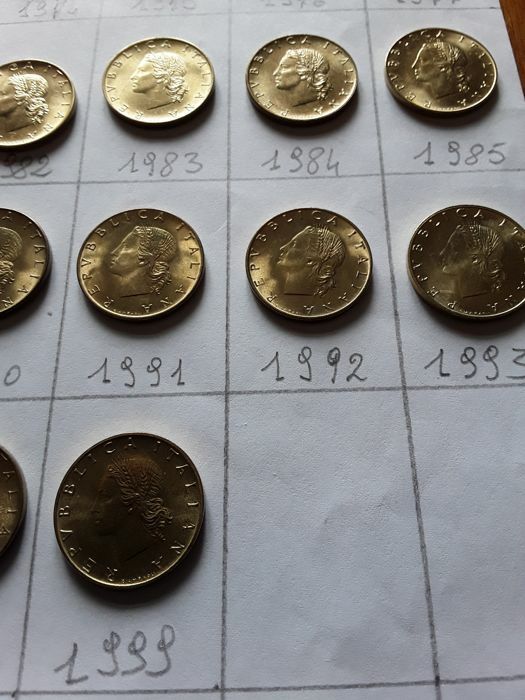 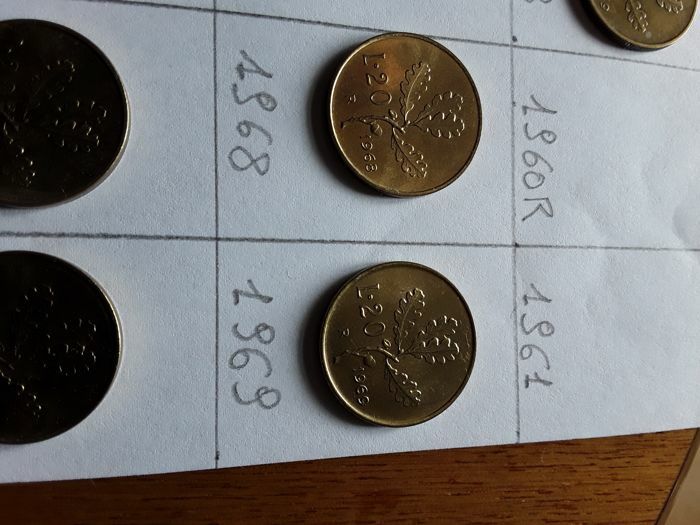 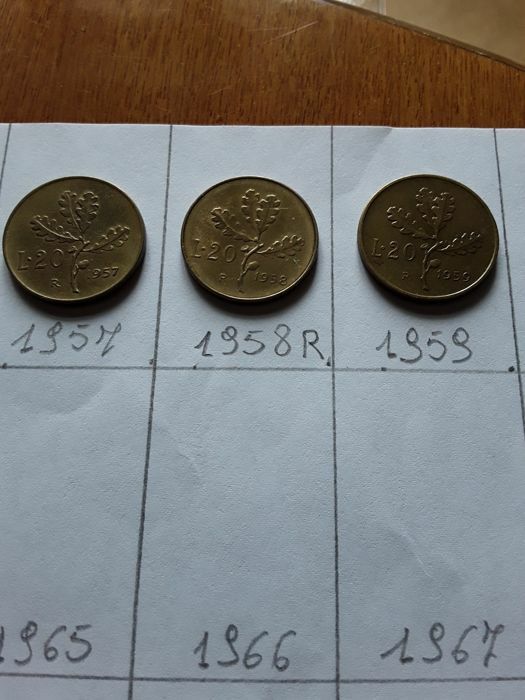 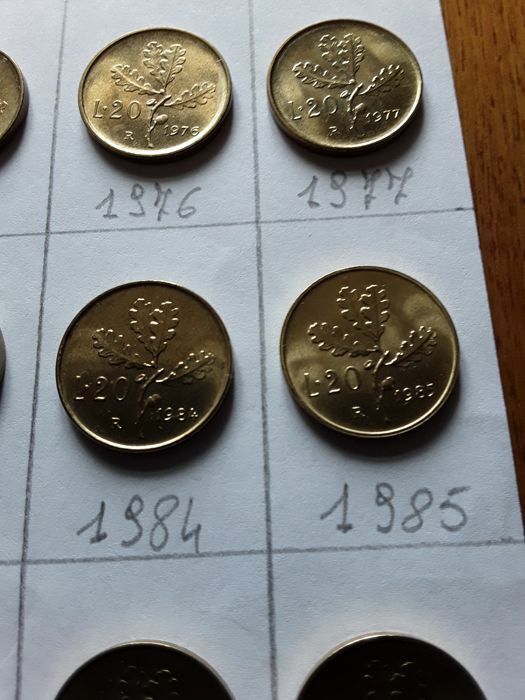 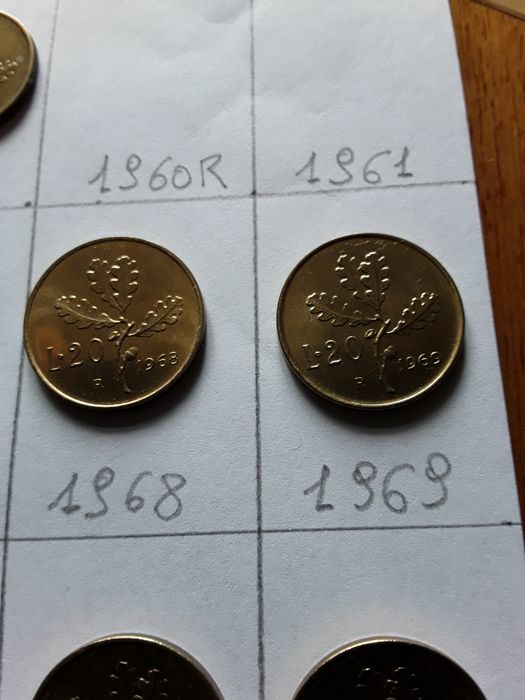 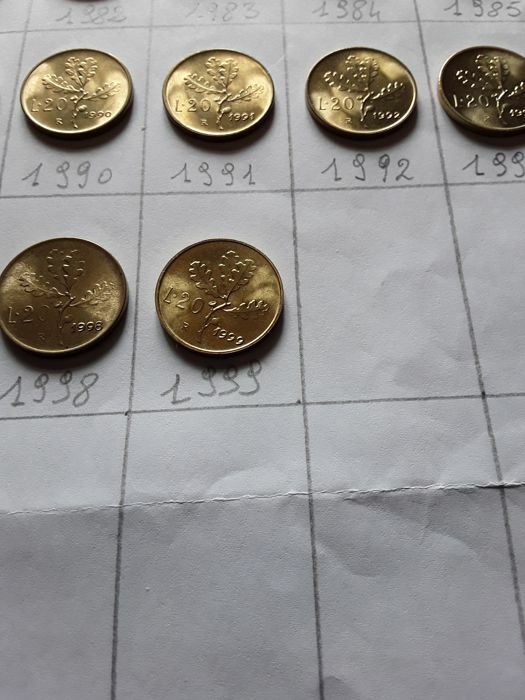 Great coins i really like them, condition is just how they were described in the ad and thank you Antonio i will buy from you again. 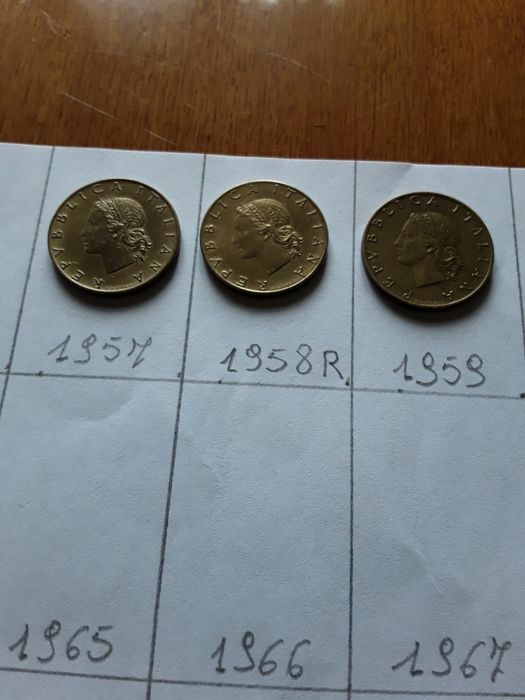 The postage was very quick i was amazed how quickly they arrived. 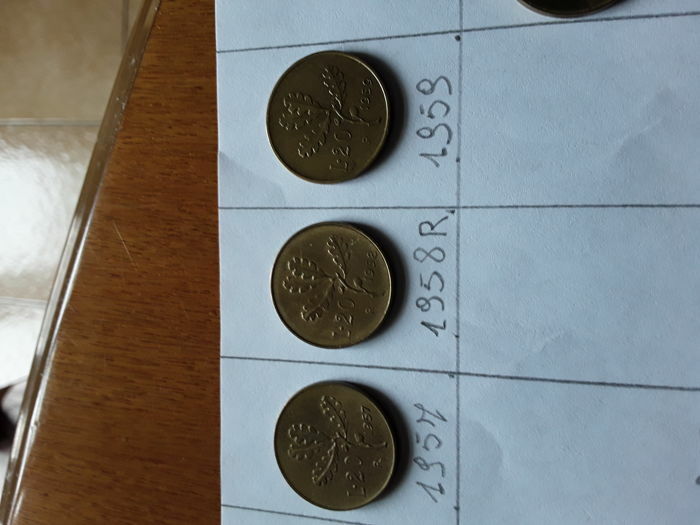 You can pick up this lot from the seller: Domodossola (VB), Italy.